Roses III 2018 / 30x40cm Watercolour by ©janinaB. 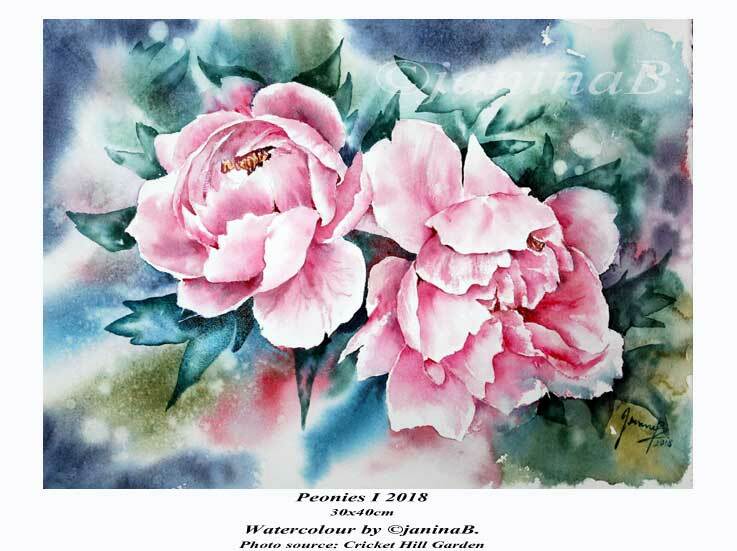 Peonies I 2018 / 30x40cm Watercolour by ©janinaB. 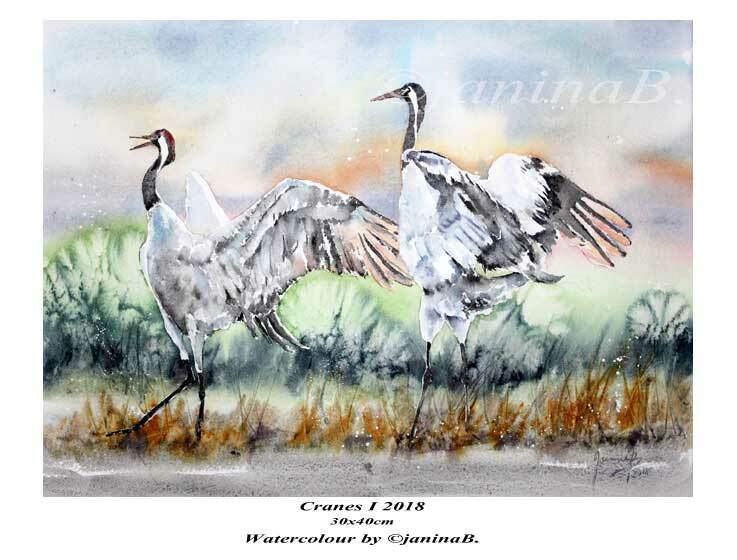 Cranes I 2018 / 30x40cm Watercolour by ©janinaB. 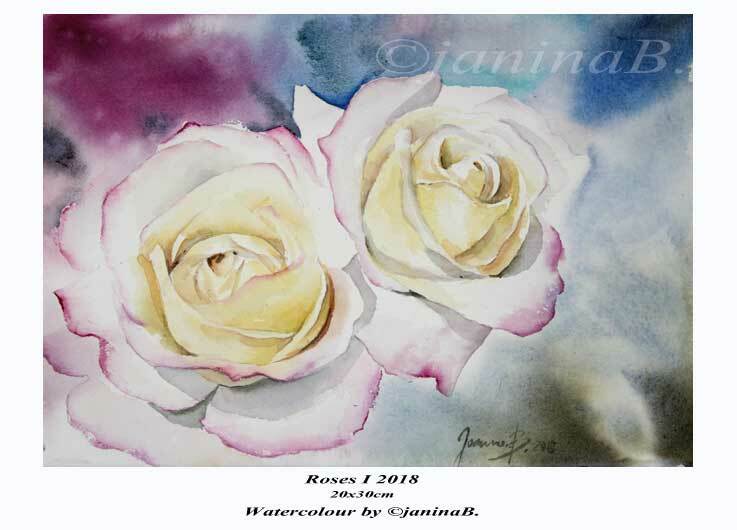 Roses II 2018 / 30x40cm Watercolour by ©janinaB. 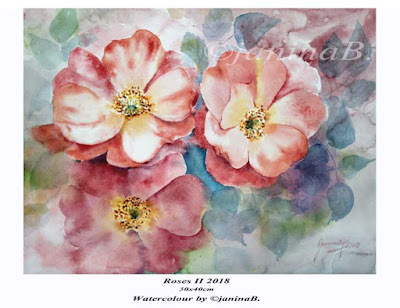 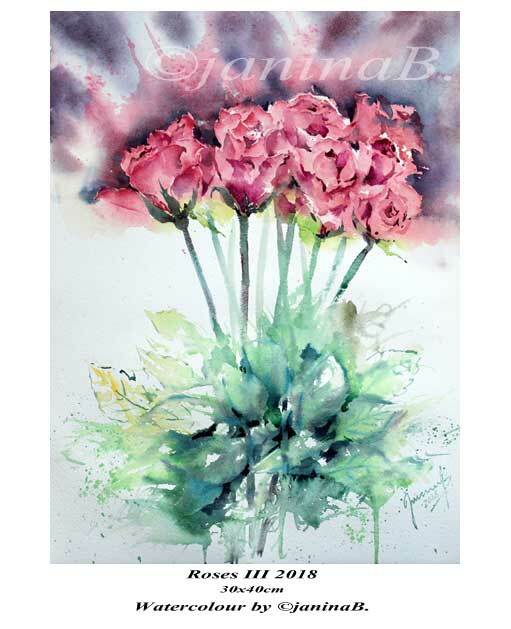 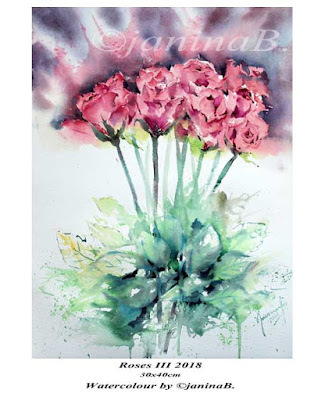 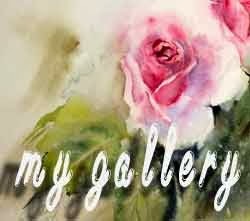 Roses I 2018 / 20x30cm Watercolour by ©janinaB. 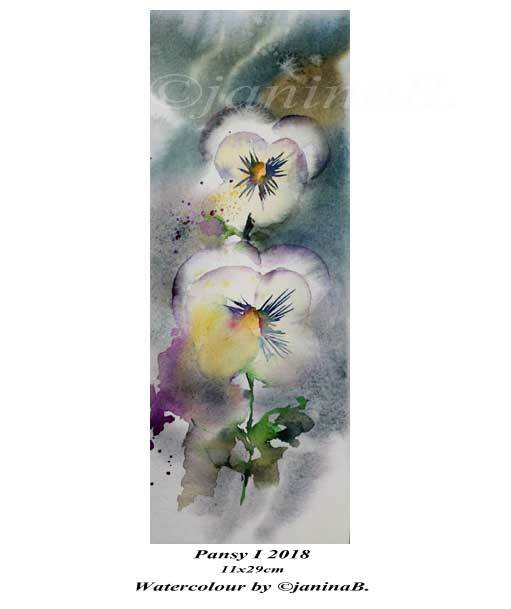 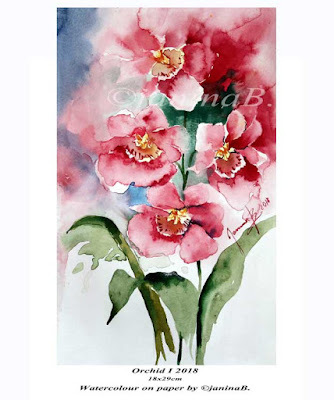 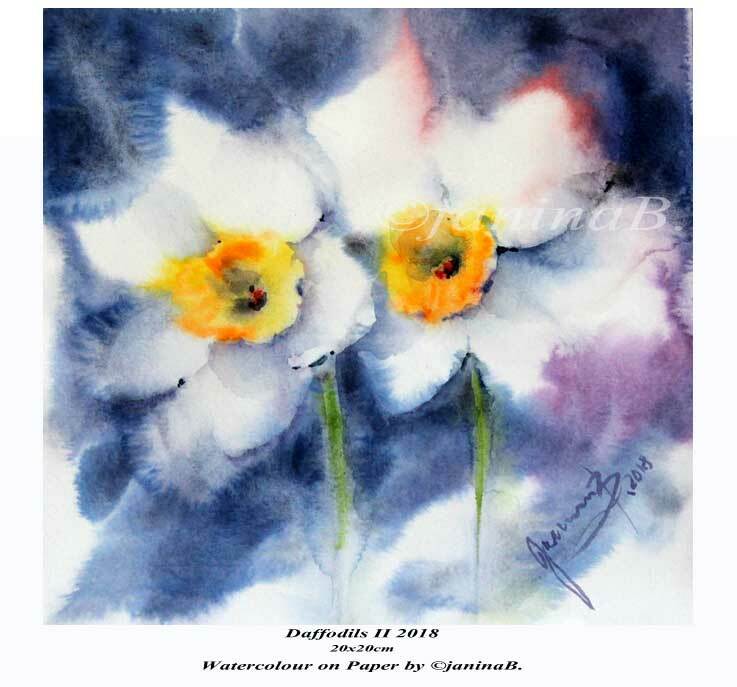 Pansy I 2018 / 11x29cm Watercolour by ©janinaB. 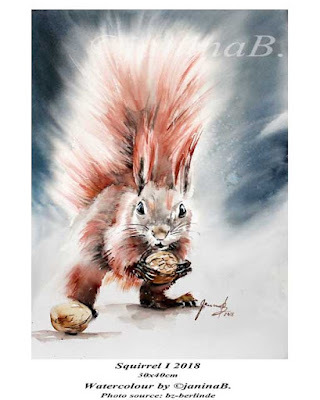 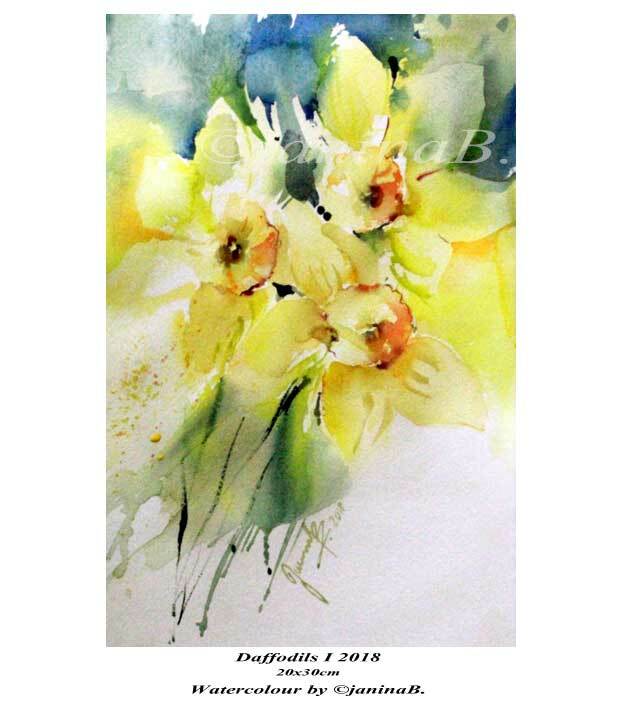 Daffodils II 2018 / 20x20cm Watercolour on Paper by ©janinaB. 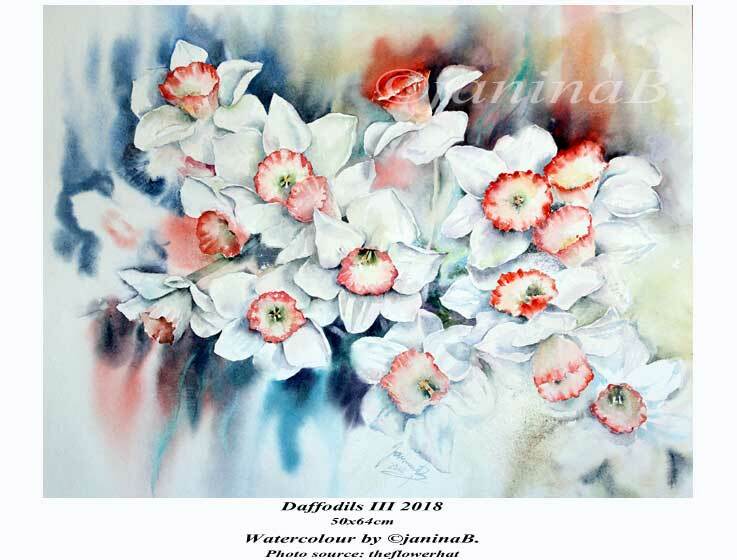 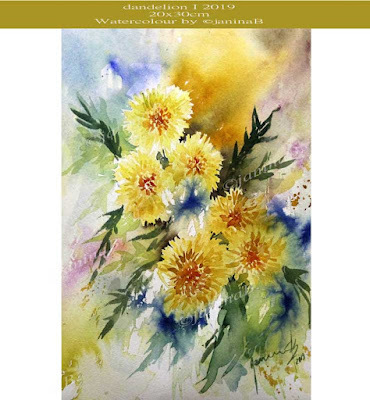 Daffodils I 2018 / 20x30cm Watercolour by ©janinaB. 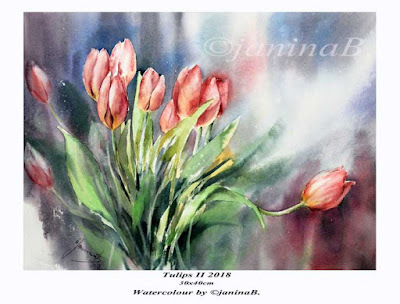 Tulips II 2018 / 30x40cm Watercolour by ©janinaB. 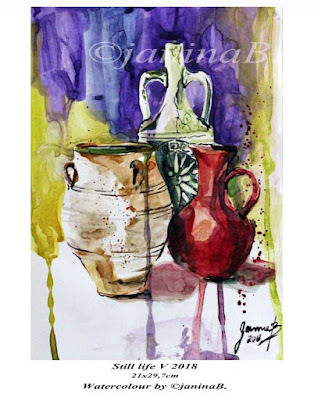 Still life VI 2018 / 30x40cm Watercolour by ©janinaB. 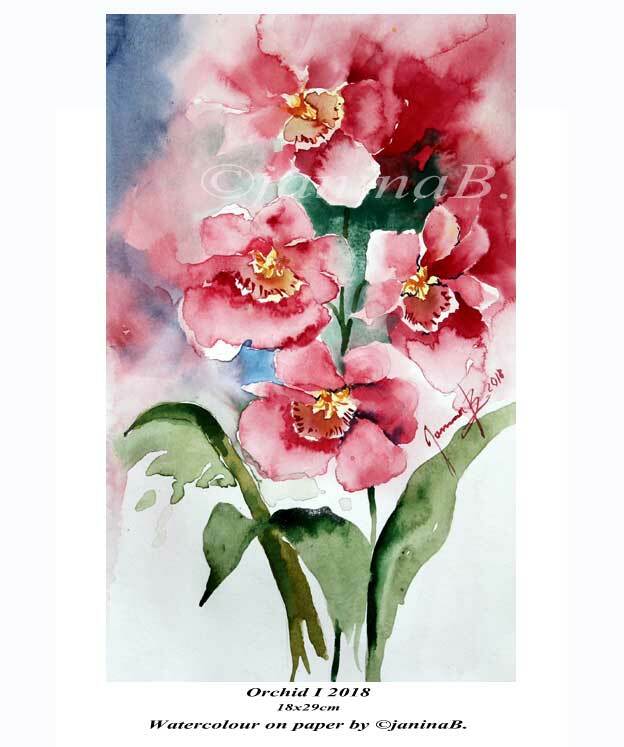 Orchid I 2018 / 18x29cm Watercolour on paper by ©janinaB. 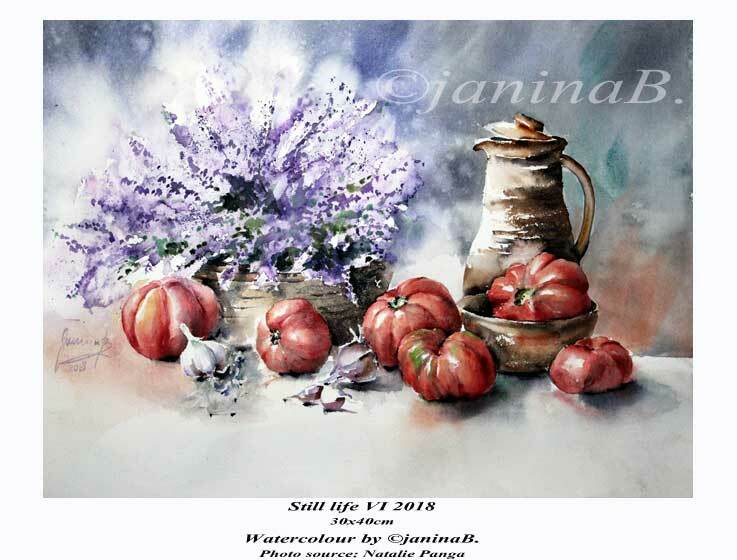 Still life V 2018 / 21x29,7cm Watercolour on Photopaper by ©janinaB.